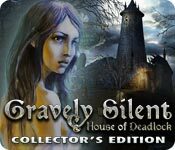 Gravely Silent: House of Deadlock Collector's Edition is rated 3.6 out of 5 by 20. Rated 5 out of 5 by JosephineCistil from Great game, fun to play I don't know why this game got so low ratings. It is a great game, though there are an awful lot of HOPs. But the storyline and the minigames totally make up for it. The extra gameplay will bring a feeling of triumph to you, if you are really caught up in the story. Rated 5 out of 5 by LUSKYA from FUN HIIDEN MYSTERY LOVE THE GAMES N MYSTERY THAT IS IN THE GAME,LOVE THE DIFFERENT OBJECTS YOU GET TO DISCOVER.IT IS FUN AND ENJOYABLE,WISH THAT I HAD MORE THAN HOUR TO PLAY THOUGH. SOME PEOPLE DONT HAVE THE MONEY TO BUY TO GET THE FULL VERSION.OTHER THAN LOVE IT. Rated 5 out of 5 by Juju38 from Brilliant! Absolutely love this game! fantastic graphics, brilliant HOS which are a joy to play and nice and smooth. Love the story, only half way through and I've not needed the strategy guide yet. Quite creepy in some scenes and the music is beautiful. The puzzles are just right without being too easy or frustrating and some new ones I've not seen before. Another fab game fro BF. Rated 5 out of 5 by LadyStorm68 from Awesome storyline! Love the macabre theme of this game!! I have found very few games on Big Fish that I do not like. 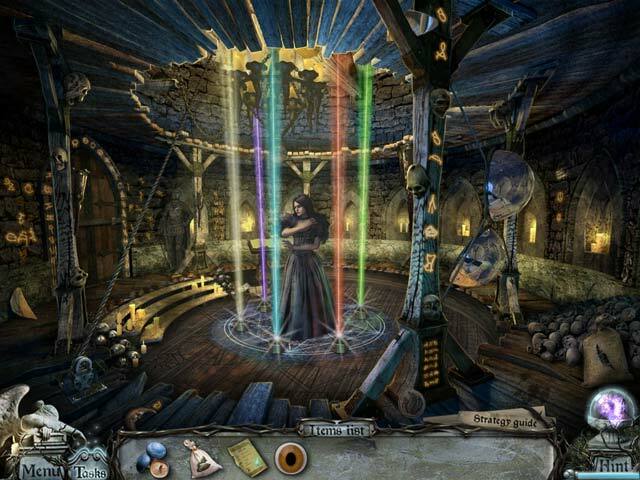 Rated 5 out of 5 by margmac58 from portals of fun love the way this game interacted with hidden objects and special items as well as travelling through the portals. Rated 5 out of 5 by GorgeousSoul from Lots to do and I loved it all! Great game! Fun of stuff to do. 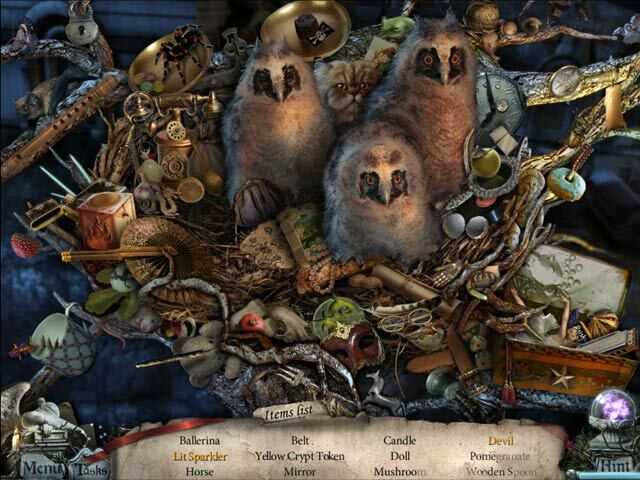 I loved the blend of puzzles and hidden object screens. I thought they were very creative. I also enjoyed the "sets" which thought were really well put together. Rated 5 out of 5 by drkne from Top notch Definitely one of the better ones, long enough to be worth what you pay for it and definitely fun. Enjoyed the story, and the dark overtones, interesting characters and all. Nice clear graphics good for searching without problem. 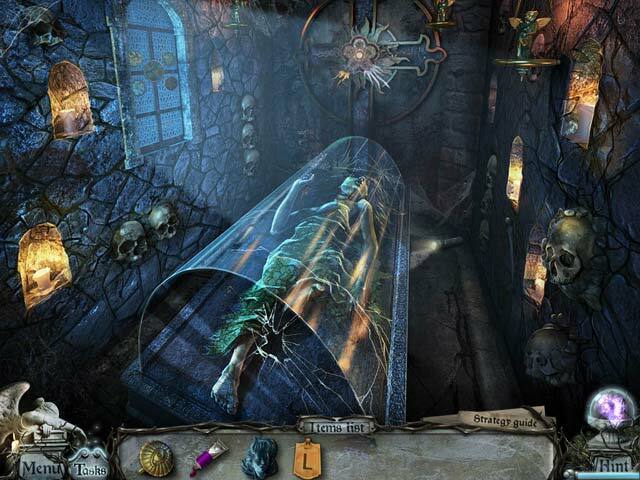 Rated 4 out of 5 by pennmom36 from Gravely Silent: House of Deadlock CE Ann wakes up from a terrible nightmare that her sister Jennie is in trouble. Moments later she gets a call from Jennie's husband, Richard telling her that Jennie has passed away. To add to Ann's suspicions, Richard tells her that the funeral will be held privately at the Rainheart estate! Ann ignores Richard's request and travels to the Rainheart manor, where Jennie's spirit appears to tell her she's not dead yet. To break her curse, Ann must find 5 wedding rings, a ring belonging to each of Richard's wives who all died mysteriously! The graphics are simple, but effective, creating a dark, creepy atmosphere with cobwebs, spiders, and gothic style statues that show their age. There are no voiceovers, but I'm okay with that and in my opinion, there isn't that much reading involved. You can choose between two modes of difficulty, Casual or Challenge which basically gives you either a fast Hint refill or a slow refill. The Hidden Object Scenes are in every scene, which at times seemed too much. Some of the objects are very difficult to spot because the graphics are dark and many items are too small, but I enjoyed the challenge. Most of the scenes are slightly interactive list finds, but there are also scenes requiring you to match pairs of objects, or find 15 mirror fragments. The Mini Games are decent, and not too frustrating. Below is a list of brief descriptions: 1) Move tokens to the correct color coded slots using an empty slot on a cross. 2) Click on several segments to align a spiders legs to the indentations on the door. 3) Interact with the scene using various tools to recreate a herbarium. 4) Rotate 4 disks so that when combined they would create the image shown on the center disk. 5) Arrange Roman Numeral tokens in the correct order on a clock using a rotation button and spiders who will swap the positions of two numerals. 6) Correctly place mirror fragments to complete a broken mirror. This Collector's Edition has Wallpapers, Music Soundtracks, a built in Strategy Guide and a Bonus Chapter, enjoy! Rated 4 out of 5 by neilskinut from good not great The game has no voice over. Music is ok. I do not like the hint button, only says nothing to do here and since you are going all over the place to find items to use you get lost sometimes on where to go next. The HOS are not hard just a little dark to see good. Puzzles are ok.